Roofers and waterproofers replace, repair and install the roofs and waterproofing systems of buildings using a variety of materials, including shingles, bitumen and metal. 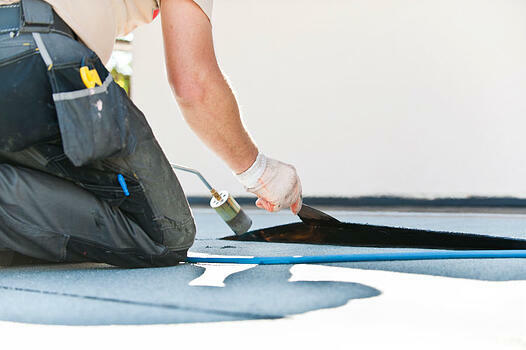 Roofing and waterproofing work can be physically demanding. It involves heavy lifting, as well as climbing, bending and kneeling, frequently in very hot weather. Overtime may be required to finish a job, especially during busier summer months. Roofers and waterproofers learn their trade through a registered apprenticeship program that is usually cost free to the student. A high-school diploma or equivalent is required to begin your apprenticeship and career in the trade. After the apprenticeship and based on certifications, a journeyperson roofer and waterproofer (a qualified and skilled person in a trade), can earn anywhere from $20.00 to $30.00 an hour. Employment of roofers and waterproofers is projected to grow 13% from 2014 to 2024, faster than the average for all occupations. Most of the demand for roofers will stem from roof replacement needs and high job turnover. Learn more about a career as a ROOFER AND WATERPROOFER!